The brains of professional beatboxers and guitarists respond to music differently when compared to each other and non-musicians, finds a new UCL-led study. The study, published in Cerebral Cortex and funded by Wellcome, sheds light on how learning and making music can affect mental processes. The researchers found that the area of the brain that controls mouth movements was particularly active when beatboxers listened to a previously unheard beatboxing track, while the 'hand area' of the guitarists' brains showed heightened activity when they listened to guitar playing. "Most research in this area has focused on classically trained musicians, who have had extensive tuition from a very young age, but we found that professional beatboxers and guitarists also display neural patterns typical of these expert classical musicians," said the study's first author, Dr Saloni Krishnan, who completed the study at the UCL Institute of Cognitive Neuroscience before moving to the University of Oxford. "We are excited by these findings because they indicate that experience of producing music changes the way we perceive it - perhaps explaining why professional musicians can hone in on technical expertise so easily to play complex pieces without having to think about each note," she added. The researchers brought in 60 people, evenly split between non-musicians, professional beatboxers and professional guitarists. The musicians had an average of 8-9 years of professional experience. While inside an MRI scanner, the participants listened to beatbox and guitar recordings that were specially prepared for the study, so that they wouldn't sound familiar. The beatbox track was produced by Harry Yeff, known internationally under his stage name Reeps One, who co-authored the paper. 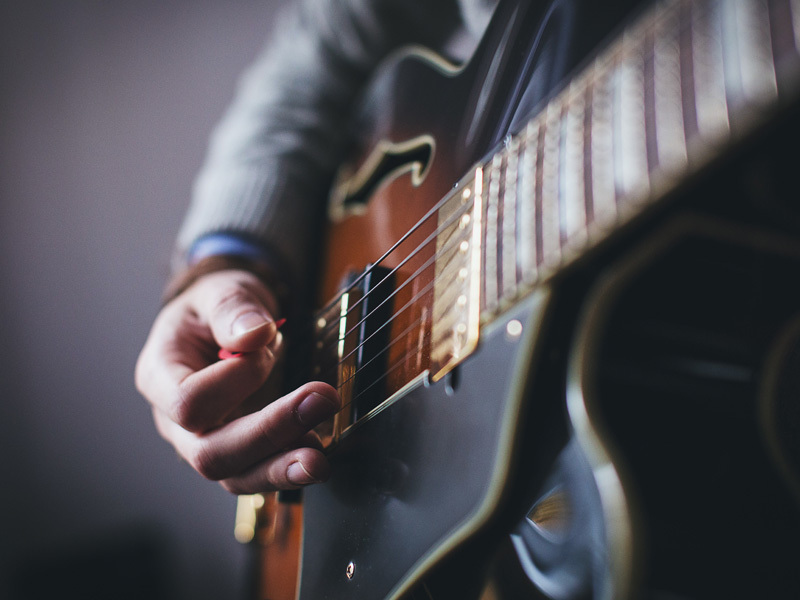 The research team found that sensorimotor brain areas, which control movement, were activated in the musicians' brains but not in the non-musicians' brains. This was only true when musicians listened to their own instrument's recordings. The researchers say this suggests these brain areas could be connecting the movements associated with making music, with the music the musicians are hearing. The research team also noticed increased activity in a brain area typically involved in language tasks with complex audio-visual links such as picture naming or reading. "We've identified a perceptual network which is engaged when you hear an instrument you can play, and which shows how acquiring this expertise has shaped your brain responses. There's already a lot of evidence that music education is good for you - here's an example of what it does to the brain," said the study's senior author, Professor Sophie Scott (UCL Institute of Cognitive Neuroscience). Beatboxer and co-author, Harry Yeff, commented: "This study reveals the intimate empathy kicked up by observing or listening to another specialist in your field. Surprisingly, beatboxing in 2018 encompasses a new breed of vocal technicality, challenging the previously established limitations of what is vocally possible. "This study is one example of how beatboxing is revealing the many lessons the human voice has on how our minds interface with our bodies." The researchers say the findings help to understand the brain networks involved in auditory perception, which may also have implications for speech and language therapy. "Perhaps more research could tell us whether beatboxing might be a way to get people to re-engage their vocal cords with the act of making speech-related sounds, for people who have lost the mechanical ability to produce speech," added Professor Scott.